If you have been inspired to get on board with the KonMari method of organization, you might be wondering where your kids will fit into all of this. After all, organizing takes a great deal of time, energy, and patience, so the cooperation of your family is quite important. This way, you know your efforts will last and you can enjoy your space for years to come. 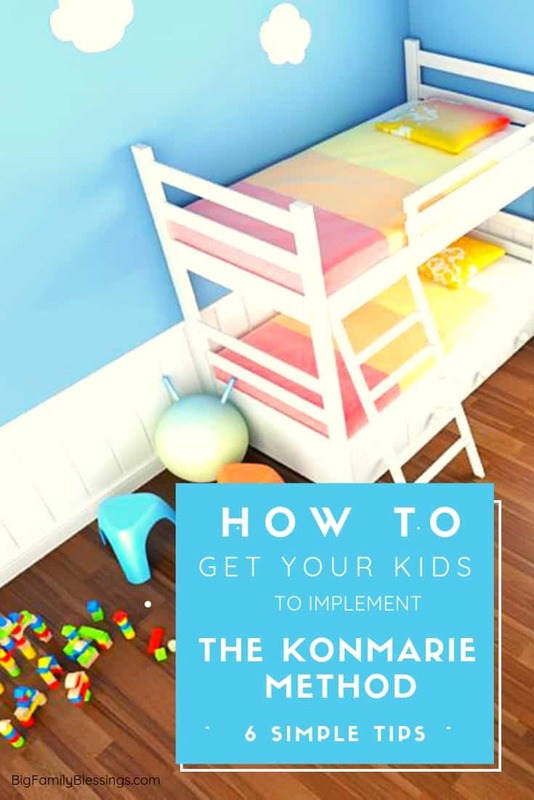 Take a look below at some helpful tips on how to get your kids to implement the KonMari Method. This way, they can not only lend a hand, but help with the upkeep of your efforts! Explain why it is important to be organized. Begin by explaining to kids why it is important to be organized as a family. You might say that when you are organized, you have more time for family fun. You may also say it allows you a clean and peaceful space like you deserve, it makes the house nice for guests to come over, or that it cuts down on cleaning time to make room for other fun things in life. Help them understand WHY you are doing it so they can appreciate the end goal. Demonstrate the tasks you expect them to do. Don’t just instruct kids to fold and put away their clothing. Show them how you want it to be done. Model the task you wish for them to do so they can see first hand what it is suppose to look like. Guide them instead of just telling them. Remember it may not be perfect at first, but in time they should be able to fold, sort, and put items away. Help them comb through and eliminate unused items. How much clutter is accumulating in your child’s room? Help them sort items and decide what they don’t need anymore. If they have a hard time letting items go, remind them that when you donate items you are helping children in need. This may give them the push they need to get rid of things. Use photos/labels to help organize items. Items such as toys, books, and even socks can be placed in bins and boxes for easy storage. To help kids remember where these items go, attach labels or even pictures (for kids who aren’t reading yet) on the outside of the box. This way, they can match the item with the label for quick and easy clean up. Make time for daily clean up/up keep. Take 15 minutes per day to put clothes away, organize shelves, put toys away, and do basic organizing. Designate when this time will be so you can all join in as a family. See how much you can get done in 15 minutes then stop. Every little bit will help and kids will know to expect this daily organizational time. Reward children for a job well done. Once kids get into the hang of organizing, be sure to praise them for a job well done! Reward them with non stuff treats. A non stuff treat can be something like a trip to the park, watching a movie as a family, video game time, or some other activity or experience. Are you ready to get more organized and bring your kids onboard with the process? 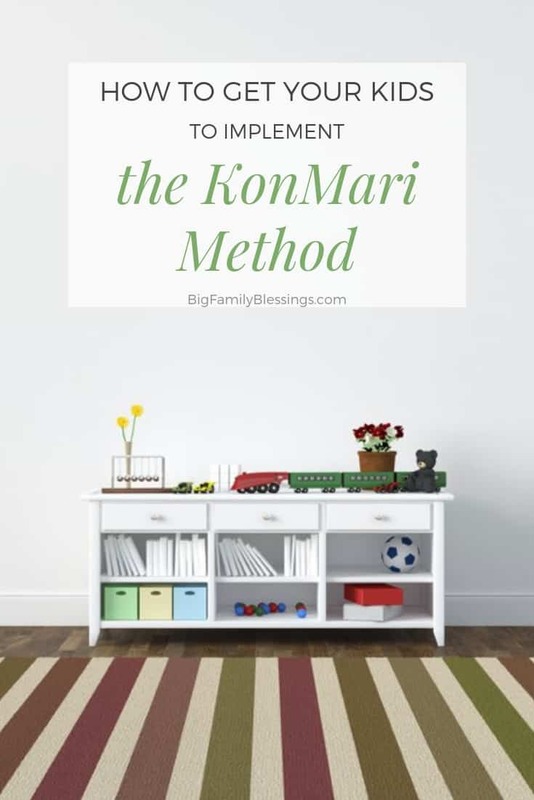 Consider these tips on how to get your kids to implement the KonMari Method and see how easy and positive of an experience it can be.